Take two men, one woman, three children. Stir in one best friend and her fiancé doctor. Whisk one best friend’s niece, her two rock star boyfriends, and add a grizzled old octogenarian diner owner with a naughty mouth and her eighty-something boyfriend who loves every minute of her. Put them all in a campground in northern Maine where the owners’ daughter has two special men of her own. Bake for 400 pages. 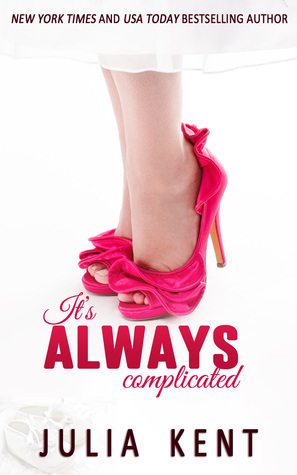 It’s Always Complicated is the sprawling saga of how Laura, Mike and Dylan (Her Billionaires) and Josie and Alex (It’s Complicated) have the wedding of a lifetime at Escape Shores Campground (the Obedient series) while Darla, Trevor and Joe (the Random series) make an appearance with a cast of characters that includes cameos from the Warlock Waitress and maybe…just maybe…Mavis the Chicken. This book combines three of Julia Kent’s series in a madcap spectacle that yields one universal truth: love is a journey and not a destination, but people will drive you crazy along the way. A small crowd of men wearing gun holsters ran past Josie and Alex, followed by three uniformed TSA agents. “I wonder what that’s about?” Alex marveled, his eyes tracking the fracas. He and Josie had come to the Portland, Maine airport to pick up her mother, Marlene, and Aunt Cathy, Uncle Mike and her new Uncle Calvin. All the Ohio relatives were here for her and Alex’s wedding. A cold wave of dread washed over her. They were running toward the baggage claim for the airline her entire family was on. “I’ll bet it’s my mother,” she groaned, leaning against him for support. His strong arm wrapped around her shoulders and gave her the comfort she needed. Too bad he couldn’t give her a second backbone made of steel. If he could, she knew, he would. The thought made her smile. “I’m sure it’s nothing,” he said, giving her a squeeze. She looked up at him. Way up, given the enormous height difference between the two of them. His warm, brown eyes met hers and for an instant, she wondered if he might be right. That eternally positive outlook he had was a bit infectious. Maybe she needed to stop assuming the worst of every situation. A rotund security guard huffed and puffed, running past them, holding what looked like a spare uniform. He was talking into a walkie-talkie. “Naked?” Huff huff. “She’s naked? What size?” Huff huff. Alex’s kind eyes filled with alarm. It was both charming and horrifying. Josie couldn’t quite decide which impression she enjoyed more. 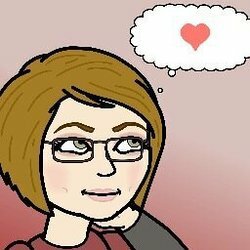 There was a kind of schadenfreude in realizing she was right. His idealism was sweet, but sometimes she needed him to be more of a realist. And Marlene served up an entire buffet of realism. “Mile High Club again?” the guard asked, pausing to catch his breath. Josie watched him with a morbid fascination. “Two men in one bathroom with a naked woman?” the guard barked into his walkie-talkie, eyebrows hitting the brim of his hat. Josie snorted, the sense of dread spreading. Just as Josie was about to reply, the commotion got louder.